This cosmological painting has been in the collection of the Victoria & Albert Museum since the late nineteenth century. It shows concentric continents separated by sea with script and figures. 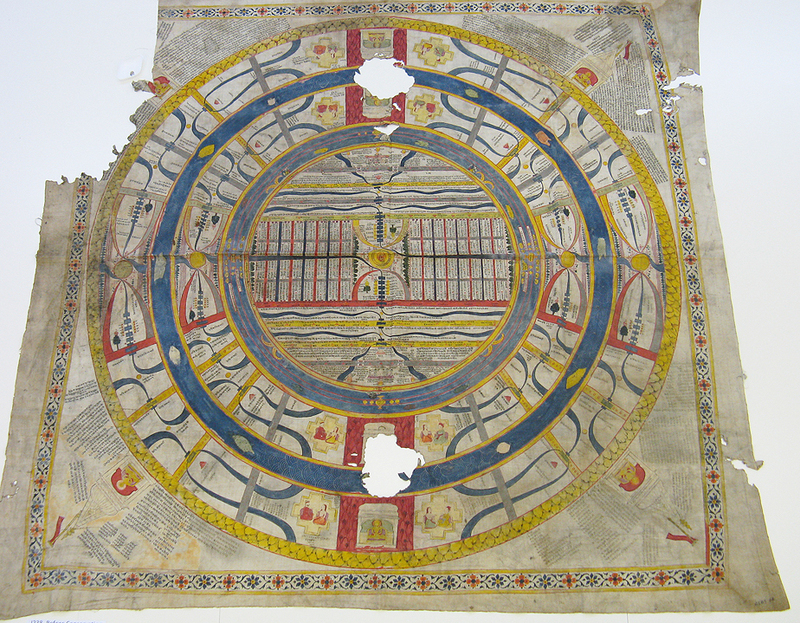 The inscriptions are in the Rajasthani Derangari script and include the information that the painting was made in 1844 in Deshnoke, a city near Bikaner, Rajasthan, and the branch of Jain monks who produced it. 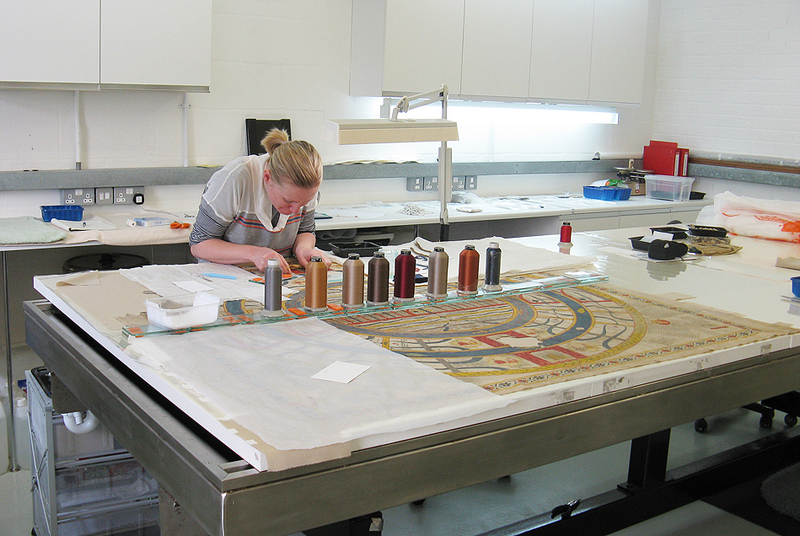 The painting is carried out in a variety of colours, while the script is all in black on a thin ground of white paint. The ground fabric is an undyed cotton, with selvedges along both vertical sides; the horizontal edges are cut raw and unfinished. The fabric is distorted in such a way to suggest that it was stretched prior to the painting process, and has been set in that shape ever since. The painting had suffered soiling, creasing and rodent damage. The cleaning options were limited as the paints are extremely fugitive. 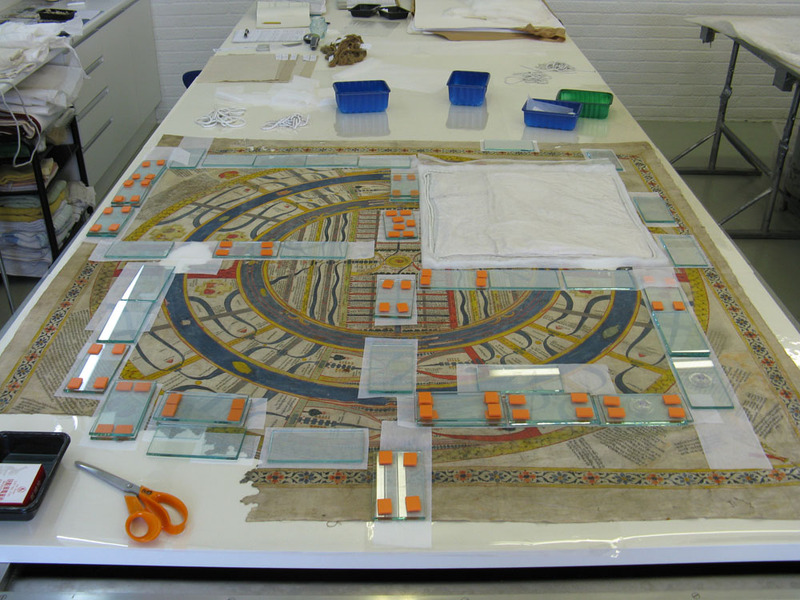 To avoid the use of water the surface was instead cleaned with specialist sponges, followed by rinsing treatment with Industrial Methylated Spirits (IMS). Finally, the creases were reduced by controlled humidification and smoothing by weights. 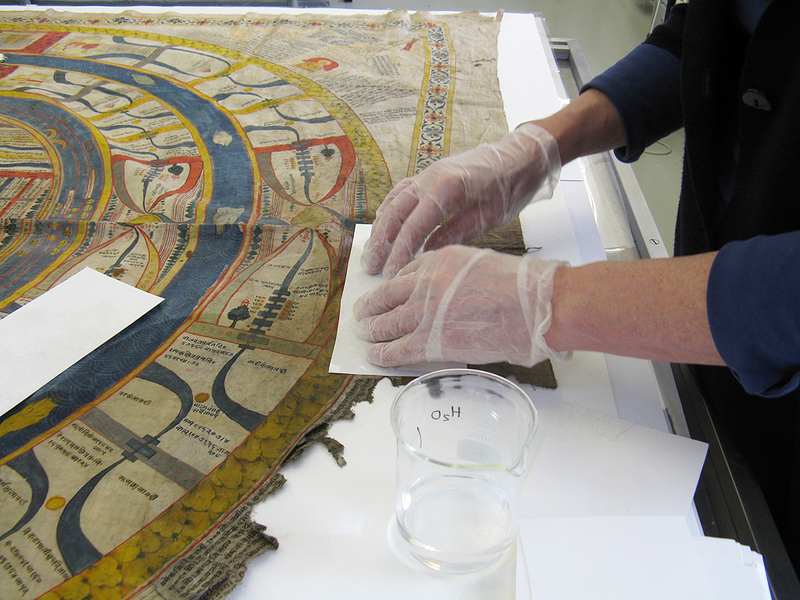 The damaged areas were supported onto cotton fabric, dyed to match, by stitching. 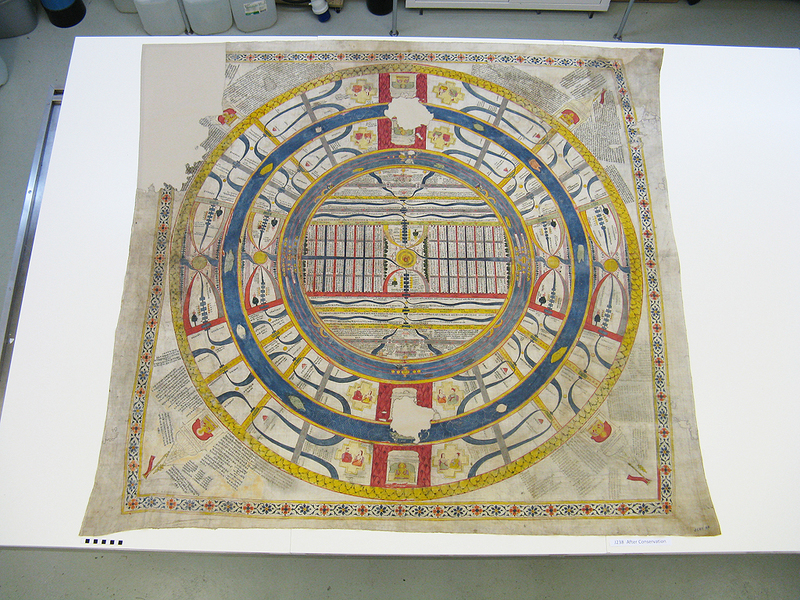 The painted cloth is now on display at the Victoria and Albert Museum in London in a small but remarkable permanent exhibition on Jain manuscripts, which tells us how this important religious community in India viewed the world and incorporated that view into their religious practice.